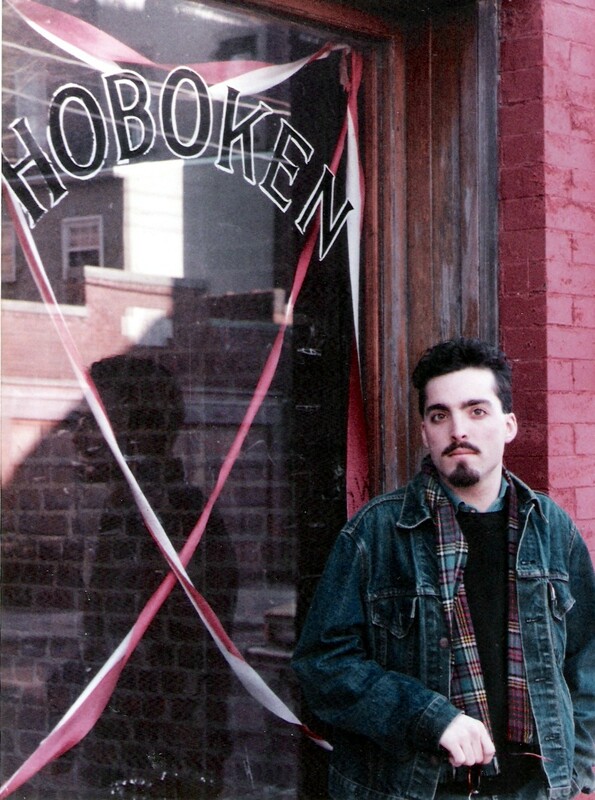 “Crow’s Rosary” was about the changes that were happening in Hoboken at the time, and the clash of cultures that continued thereafter as the mix of ethnicity and artists gave way to gentrification. No doubt it is a very different place today. a last-resort for some to stem the tide of condo-conversion. The siren-scourge filling the air once filled by shipyard steam. end to end and back again–“Carrion waiting, carrion waiting!” he cawcries. the garbage piled high in the alleyway. the obligatory coffee break taken 10 minutes after waking us all up. challenging us to use those drear, found things. while the crow, soaring alone, surveys the tumult of our disheveled days. carry on as the crow with his lonesome rosary. And what does this new Hoboken mean to us, so unlike what it was to us? linked by the crow’s rosary, the litany of lonesomeness. There’s a gibbous moon out back, illuminating the night kitchen. We live in shells cast aside by others, hollow bodies awaiting obsolescence. Knowing this, the streets seem more calamitous. Knowing this, we set-about preparing the earth’s redeeming. We are never so alone as when we long for lost things. The poem was inspired by Plate 52 in Roger Tory Peterson’s A Field Guide to the Birds, which bears the same title, and features all the bird names that appear in that plate in one poem. or was it the black-throated blue? chattering chi chi chi chi chi chet chet? to listen for its secret?